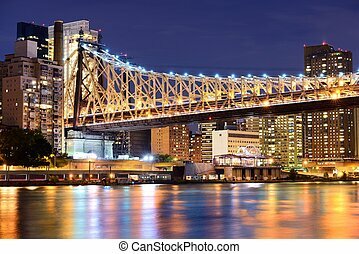 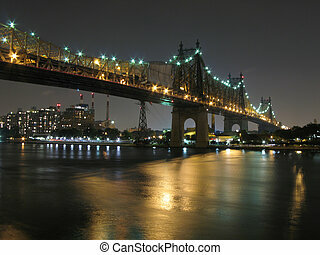 Queensboro bridge, nyc. 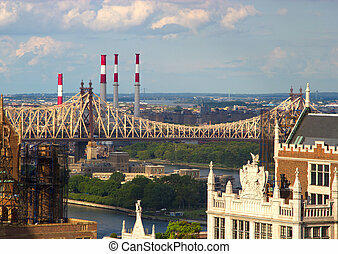 Aerial view of queensboro bridge in new york city with rooseveldt island and manhattan cityscape. 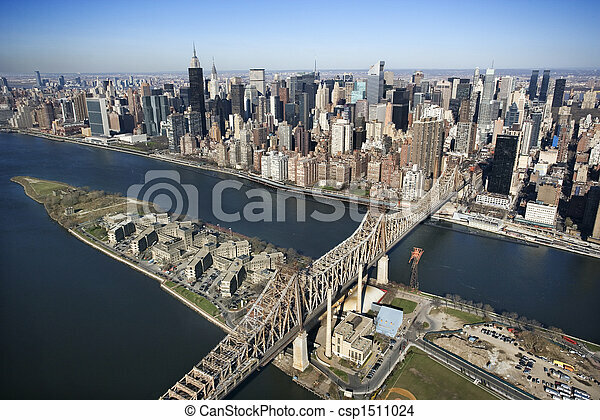 Aerial view of Queensboro Bridge in New York City with Rooseveldt Island and Manhattan cityscape. 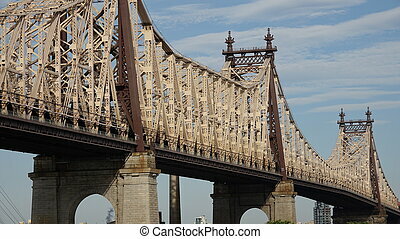 Queensboro Bridge in New York City. 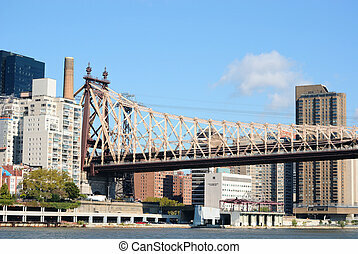 View of the Queensboro Bridge from the Roosevelt Island. 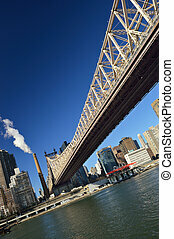 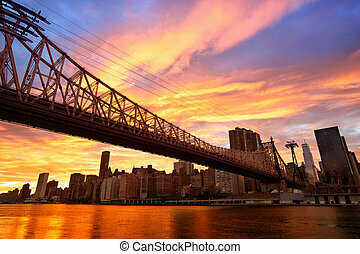 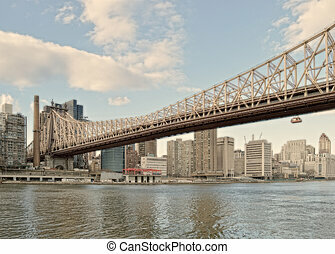 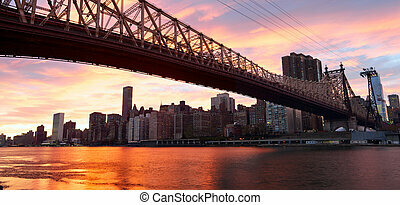 View of the Queensboro Bridge in New York City. 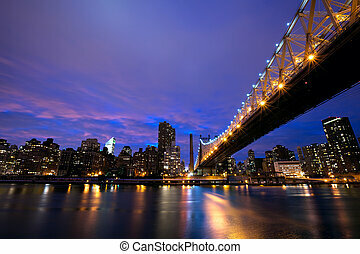 Skyline of midtown Manhattan with the Queensboro Bridge from across the East River. 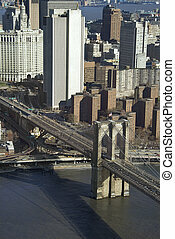 Aerial view of Brooklyn Bridge with Chinatown and New York City buildings. 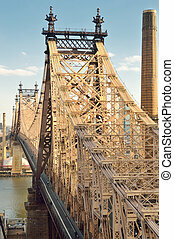 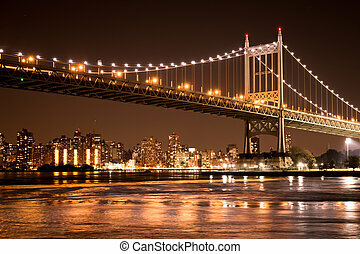 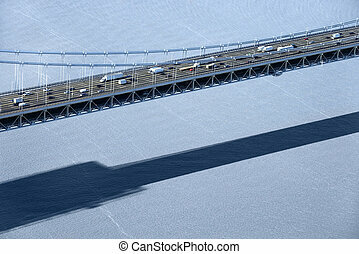 Aerial view of Triborough Bridge over East River in New York City. 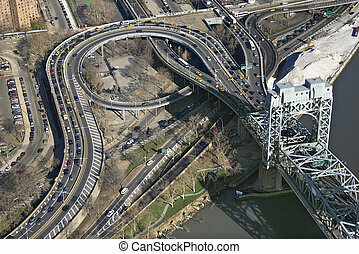 Aerial view of Harlem River Lift section of Triborough bridge in New York City. 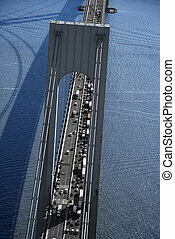 Aerial view of traffic on Verrazano-Narrows Bridge in New York City. 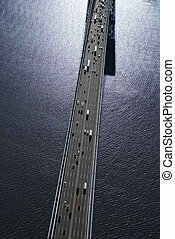 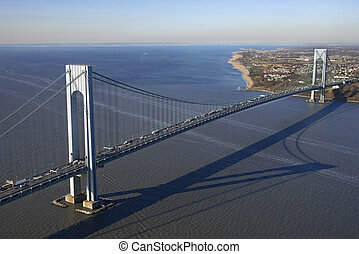 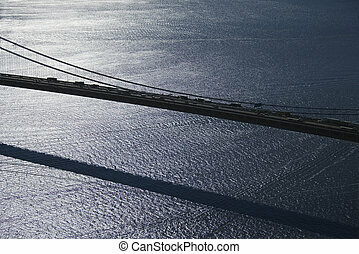 Aerial view of New York City\'s Verrazano-Narrow\'s bridge. 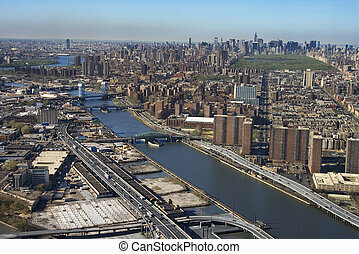 Aerial view of Harlem River and bridges with the Bronx and Manhattan buildings in New York City.